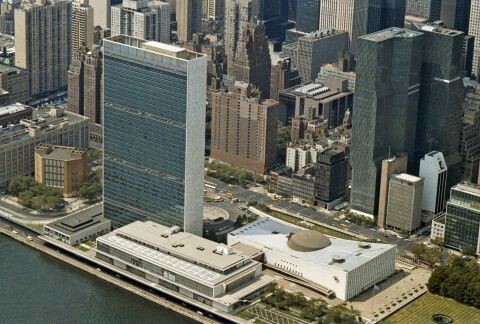 From 18th to 22nd June 2018, the United Nations’ Meeting of the Consultative Process on Oceans and the Law of the Sea was held at the United Nations Headquarters in New York. The theme of the meeting was, “Anthropogenic underwater noise”. 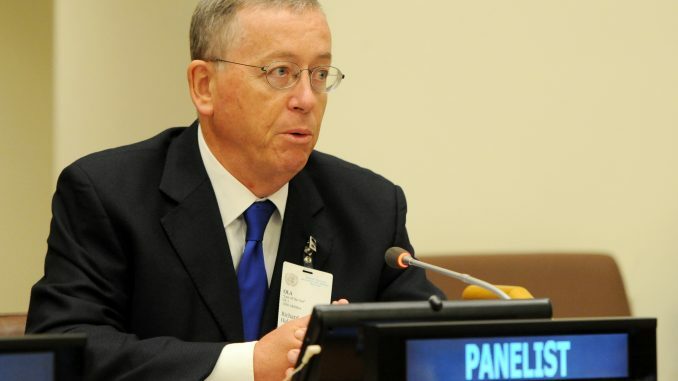 Richard Hale, a Director of the EGS Survey Group, was invited to attend the meeting as a representative of the International Cable Protection Committee (ICPC, www.iscpc.org), together with the ICPC’s representative to the United Nations, Ms. de Juvigny. The topic on the first day of the meeting was, “Sources and environmental and socioeconomic aspects of anthropogenic underwater noise.” On a global scale, commercial shipping is the source of most underwater noise, generated throughout the year. Other offshore activities, such as seismic surveys for oil exploration and the pile-driving used to install offshore wind turbines, generate more intense sounds for periods from around a week to a few months. 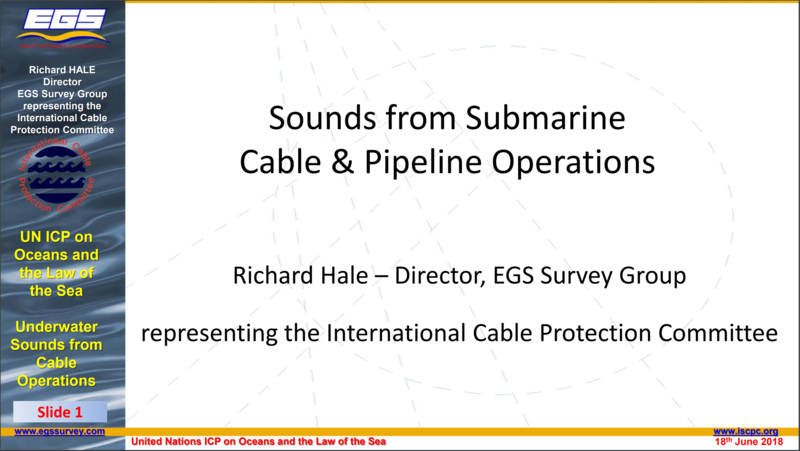 Dr. Hale presented an invited paper to the meeting entitled, “Underwater Sounds from Submarine Cable and Pipeline Operations” (http://www.un.org/depts/los/consultative_process/icp19_presentations/2.Richard%20Hale.pdf). The paper showed that while submarine cable operations introduce some sound into the marine environment, the acoustic footprint is small and brief when compared with other offshore activities.